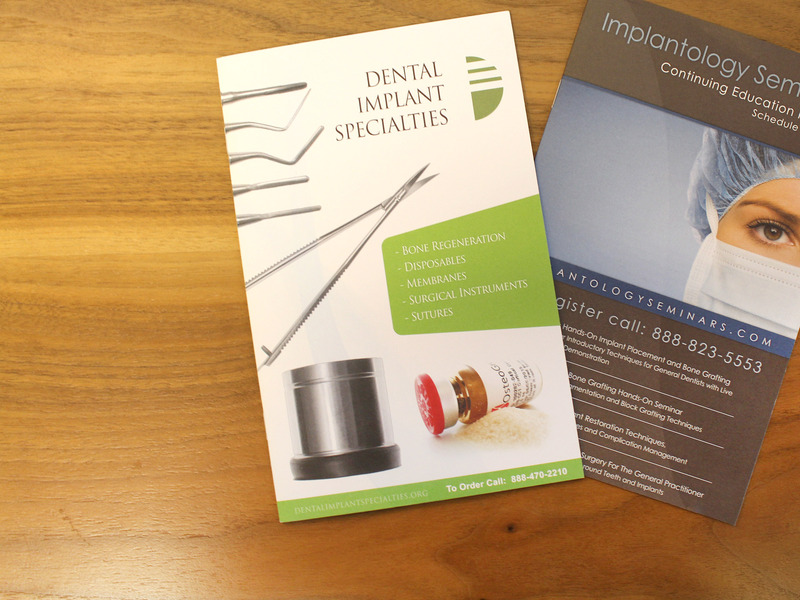 We laid out these catalogs for Dental Implant Specialties. One was a full product catalog, the other a seminar signup and promo. Both printed on matte finish cover stock.